Repeat Customers are our favorite customer. 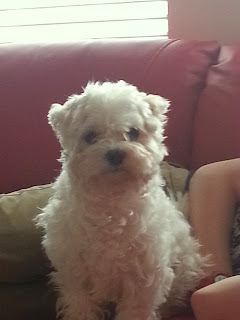 They sustain us; they are loyal; they are our friends; we love them! Any good company will have repeat customers, and that should be the bulk of a business's customer base. The only customers that a cleaning company business cannot keep are those moving out of town, and if you have made a positive impression, even that customer will look for the same franchise in their new area first. You want to keep every customer possible forever. Here are a few of our many, actual, repeat customers: And our friends too! Never underestimate the power of referrals. Repeat customers will gladly refer you to their friends and family, if they feel that they can trust you to do a great job every time. Word-of-mouth is the cheapest way to advertise and attain business. If you leave a gift ( say a bottle of spot cleaner) with the customer that has your name and logo on it, then the home or business owner will have your number at their fingertips and will not forget you. When friends,family or business acquaintances come into your client's home or business and brag on how well their floors, furniture, etc. look, the customer will advertise freely and gladly for you. That is when networking is at its finest. 1. Talk to the customer. Be friendly. Smile - Get them to like you personally. 2. Be honest and forthright, so they will trust you. 3. Go the extra mile for the customer, never complaining. 4. Show them the before and after pics that you received prior permission to take from them. 5. Give them a free bottle of spot remover or a parting gift. "Kwik Dry is Awesome! I will use them again and again." Kerry R.
"Of course you got my rug cleaned. You guys are amazing!" Susan P."
"Thank-you so much Kwik Dry Total Cleaning for everything that you cleaned for us." Linda E.
"Kwik Dry has been a blessing to our church. Thank-you very much." Daniel G.
"My tile looks awesome guys!" Thanks so much! Sherri B. There is a reason why some people are professionals in a field and others are either novices or simply enthusiasts. Professionals are privy to certain trainings, tips, tricks, and industry insights into a particular craft, since they surround themselves with it every day. Novices and enthusiasts are self-taught or learned it on U-tube, and may or may not have the right information regarding how to handle a task. When it comes to tackling a home improvement project, the homeowner, who wants to save money, attempts to take on the task alone, without the help of a professional. This is usually where the trouble starts. When it comes to carpet cleaning, calling a professional is the wisest decision. Due to the wide variety of fabrics and materials used today, certain problems could arise, which only a professional would know how to handle. That mysterious stain - that nobody knows how it got there or what it is – may take a special product to remove. Using generic or grocery store bought cleaning agents can set a stain or permanently discolor the carpet. Taking on a carpet cleaning issue without knowing the proper method of removal or product to use may lead to a carpet that looks worse than before, and is now going to cost more money than before. Below are some of the main reasons why it is best to contact a professional carpet cleaning company before trying to remove a carpet stain without proper knowledge and products. Diverse carpet fibers react differently with various cleansers and chemicals. This is why simply picking up a carpet cleaning solution at the local home improvement store and taking the project on with nothing more than the instructions on the back of the container, can be dangerous to the carpet. Certain cleansers contain bleach, which will lighten or leave a yellowing affect to a carpet, turning a removable stain into a bleached spot that will not come out ever. Once the dye has been removed from your carpet, there is no going back. Since a professional carpet cleaning company will be able to assess the type of carpet fiber you have and the best cleaning method for it, there is much less room for errors. Each time a person tries to take on a do-it-yourself, project there are always some unfortunate hurdles that get in the way. Typically, this will add time or money to the project unexpectedly. Many people assume that if a carpet cleaning company charges $200 to professionally clean a whole house , but the cleanser is only $25 and a rental vacuum is only $75 a day at the local home improvement store, then they have already saved $100 by doing it themselves. However, they have not factored in the time it will take to complete such a large project or electricity and water used. Think about how much time is worth. If the job takes 5 hours to do, then in essence, it pays about $20 per hour to get back to the original estimate of $200 for a carpet cleaning company to do it instead. That's not a bad pay rate, but that's also 5 hours of lost time, 5 hours of inconveniencing others in the household and it also means the person completing the job is 5 hours more exhausted than they should be. Aside from the time it takes - using a rental carpet-cleaning machine will only be a very temporary fix. The machine is a shampooer that uses detergents that stick to the carpet fibers causing dirt to be attracted even faster than before. A carpet can hold six times its weight in dirt before one even notices that it is dirty, but it will become dirty quicker because of the cleaner used. The dirt is pushed down into the base of the carpet, and will wick back up to the top, revealing the stains, shortly after the long drying time is over, (which also causes mold spores to grow). In the end, a simple carpet cleaning job could cost $100 plus for supplies, 5 hours of time, and then hundreds more to fix any mistakes that happen as a result of a non-professional cleaning, and the carpet will just look dirty again shortly after. So clearly, it is not always less expensive to do it yourself. 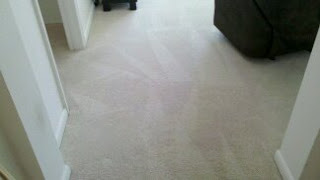 Professional carpet cleaning companies pay attention to details. A professional carpet cleaner is trained to take care of the customer’s property. 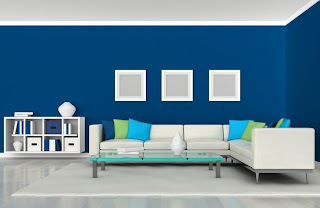 Furniture is moved carefully and small pads are put under wooden or metal legs so that discoloring of the carpet does not occur from rusting or transfer of wood stain. The carpet is raked or re-vacuumed to bring back up the pile and leave the carpet soft and fluffy. Tough spots are re-treated ensuring satisfaction, and if the company is very wise, a bottle of cleaner (bearing the company’s name and phone number) is left for the customer in case of future spills. A good carpet cleaning company will take care of the little things, that are so important. A professional, often learns through a great deal of trial and error. Every single problem, that one may happen upon, has been trouble-shooted by an industry professional. The process and products used have been tried and tested repeatedly to insure total success. Much research and inventive ingenuity have been put into the professional carpet cleaning company’s product. A professional is a person who is paid to undertake a specialized set of tasks, who makes a living from one’s profession. Anyone who relies on his/her profession to feed and clothe their family is going to perform their task to the utmost of their ability, or that one is not a professional. Call a professional carpet cleaner today. Skip the hassle and rest assured that your cleaning needs are in competent hands. Kwik Dry Total Cleaning is an international, multi-faceted carpet cleaning company. Kwik Dry is one of the only "Green Approved" methods available today for cleaning carpets. Carpets dry in 1 - 2 hours, low moisture and all-natural biodegradable ingredients are uses and there are no hidden fees. Kwik Dry has many Florida locations including Carpet Cleaning Miami, Carpet Cleaning Brevard, Carpet Cleaning Broward, Carpet Cleaning Orlando, and Central Florida Kwik Dry. Kwik Dry Total Cleaning also has franchises in some Northern States and Canada, including Carpet Cleaning Richmond , Carpet Cleaning NW Indiana, and Carpet Cleaning Ottawa and all are backed by their 100% customer satisfaction guarantee. Once you use Kwik Dry Total Cleaning, you will use no other! A local Melbourne, FL artist called me last week to book a carpet cleaning job from Brevard Kwik Dry. She called back to rebook, stating that she was not yet ready for Cocoa, Florida’s best alternative for carpet cleaning to clean her carpets. I rebooked her for the following week, thinking she would call and cancel again. My experience in talking to customers and booking jobs for Brevard Kwik Dry is that those who cancel jobs usually do not call back to rebook. 1. They have found what they think is a cheaper price and have booked with that company instead. 2. They have spent the money that they were going to use for the cleaning service. 3. Their plans have changed and they will not be home at the scheduled time. 4. They have read a negative review on the internet about that company and believe it. 5. They forget about the scheduled job and cancel when the cleaning company calls to confirm. 1. They have just lost money that they counted on for their business. 2. The cleaning technician loses money as well. 3. Now there is an open slot in the schedule that has to be filled. 4. If the cleaning technician shows up, and the customer cancels right then, the company has wasted time and gas money. 5. This disappoints the carpet cleaning company and they lose a little more trust in people. All in all, canceling your scheduled job - especially at the last minute - has negative effects on the company concerned, so make sure that you either let the cleaning company know, as soon as possible of the change, or simply keep your word. Berber Carpet is made of Olefin or Nylon, a polyethylene or polypropylene - in layman’s terms - plastic. Believe it or not, Berber carpeting is a petroleum based plastic, like polyester. Therefore it is water resistant and stain resistant. Berber carpet has one great nemesis – oil. Since it is made from oil, of course, it attracts oils and soil. Did you ever notice that dirt sticks to your skin? You have to use soap to remove all of it from your hands, correct? That is because we are made from dirt, so dirt is attracted to our skin and blends naturally with it. It is the same thing for Berber carpeting, but with oil. 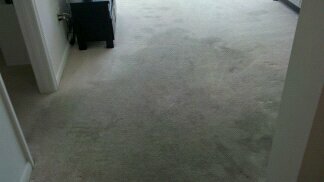 This is bad for the carpet, but good for Melbourne Carpet Cleaners, especially Brevard Kwik Dry. Berber is easy to clean for this Brevard County Carpet Cleaning Company, since we use a low-moisture, oxygenated, citrus cleaner that is naturally a degreaser, so oil – no problem. Also, the low moisture factor inhibits any mold growth. Do you believe the news lately? What is happening to America?!! It seems like the world is in chaos with fighting, bombings, wars, murders, terrorist attacks, and crime in general is on the rise. I write a carpet cleaning blog, but I think I need to address the world's craziness at this time. Now, we have a choice - to fight, to ignore, or to hide. What is America going to do? 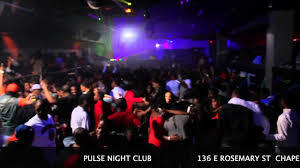 I live near Orlando, Fl and many innocent lives were viciously taken at the Pulse Club by a terrorist that no one is brave enough to state as being Muslim, or that this was a hate crime, morally, religiously and ethnically. Ask any Muslim what their bible (Quran) says - they hate infidels, which include Christians as well as homosexuals. What is with all of this politicking? The media refuses to report the truth - they are more worried about if an exit was blocked or not. The Assistant Police Chief stated that, "This was the most brutal attack that he had experienced in his whole career as a policeman", and "That it was too political." This whole world has taken up being politically correct, and ignoring the signs, while our enemies are steadily advancing with tyranny in mind. Take carpet cleaning, for example what if we simply ignored the stains and dirt, or what if we just hid them under furniture or area rugs? Would the threat go away or take over? Of course there are many things to consider before taking action. If your neighbor's carpets were dirty would you care? Would you help them to get them cleaned, if you could, or would you simply ignore the mess? What if you had the answer to all of their cleaning needs? Would you tell them or simply leave it up to another person or company? 2. Are You Apathetic or Afraid? It is not your carpet that needs cleaning - so why bother with it. Are you afraid to offend them and so do not say anything? 3. Do You Not Have the Resources to Help? You do not know how to clean carpets or have cleaning solutions. You do not have information on what you are up against. 1. Learn what you do not know - get educated on the topic. 2. Offer help of any kind. 3. Defend yourself properly with the right solutions and equipment. 4. Learn what works against the problem, and practice safe procedures. 5. Pray, But Also Take Action - the stains will not just disappear, but will take over. 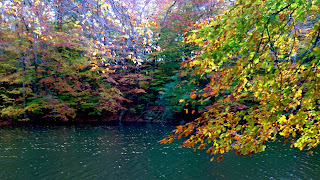 Check out our sites today. If you are interested in buying a Kwik Dry Total Cleaning Franchise go to www.kwikdry.com for U.S. or www.kwikdrycanada.ca for Canada. Do not be apathetic and ignore the stains on your upholstery or carpet. Do not let your floors become dull and ugly. Call Kwik Dry Total Cleaning today! Which are Worse - Roof Leaks or Dog Leaks? to spot clean with some soap and water? advertisement in the Saving Safari caught his attention and he picked up the phone. dirty carpets were not a problem for Brevard Kwik Dry. 1. Never clean up a flood without proper expertise and equipment. or mildew will begin to grow. 4. Dehumidifiers and blowers must be used to successfully and quickly dry up the water. 5. When everything is dry, the new under-pad must be installed and the carpet re-installed. 6. Finally the carpet must be cleaned and disinfected again. on the carpet - some lighter than others. What a mess! Kwik Dry professionally clean your carpets for you. promised to call Brevard Kwik Dry every time that any cleaning was needed. How Clean is Clean? How Green is Green? Wow! This room looks super clean doesn't it? 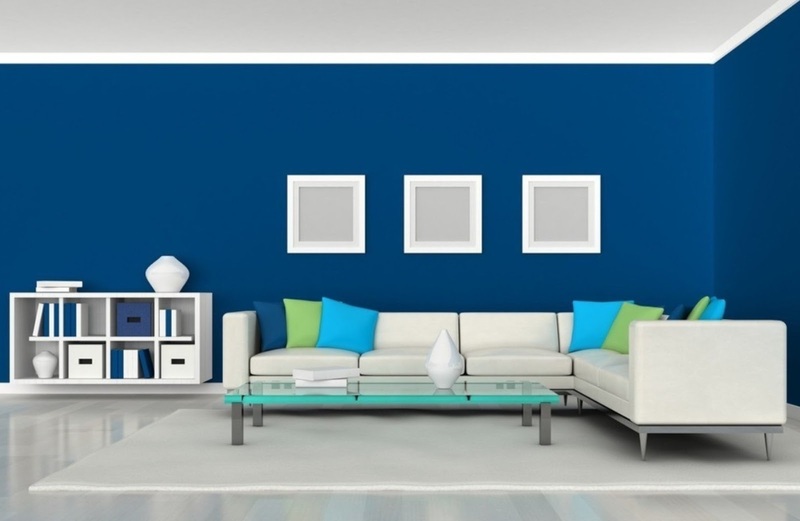 The colors are crisp, the floor is reflective and shiny, the white carpet has no sign of stains, and there is no clutter or debris anywhere to be seen. But what can we not see that is hidden? The naked eye cannot easily see dust spores, dander, dust mites, bed bug eggs, pollen grains, bacteria, or mold spores - that are growing and forming rapidly - until there is a large quantity of them. This is a mold spore that loves a little bit of food, warmth and moisture. He is cute and pretty, but just like "the girl next door", is dangerous to your heart and health. Almost anyone is allergic to mold, especially black mold, except (for some God-given-reason) my 90 year old Nana - Grace. 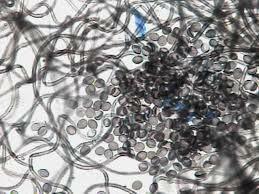 So there is plenty of food, moisture and warm sunlight to make optimum conditions for black mold growth. In my Nana Forster's (Grace - rightly named) basement (on the walls) and bathroom (under her bath mat in the tub) was the scariest thing I had ever seen! Black mold everywhere!! No wonder my throat was getting sore and my nose running like a tap. When I lifted the mat off of the tub bottom I gagged. I grabbed the bottle of bleach, that I had found in her laundry room, and poured it straight on the mildew and mold. No watering it down for environmentally friendly reasons - there was no time. I was going to die right there from chemical waste exposure! How does my 90-year-old Nana not keel over from all this mold? She wasn't even the least bit sick from it. 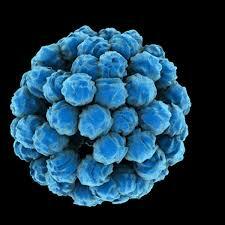 (I, of course, developed bronchitis from it all, and had to get a Z-pak to recover.) Nana (Grace) Forster - proof that God gives us grace - lived to be days short of 102 years old. Incredible!! All-Natural-Green-Co. Kwik Dry Total Cleaning-Destroys-Black-Mold like this without using harsh chemicals in their Carpet, Upholstery, Mattress, Tile and Wood Flooring processes. Does the cleaning company that you employ use "Green" methods in their processes? Do they have the environment in mind or just making money? Anyways, we won't count me using the bleach as a weapon against the black mold. That was dire circumstances, and I did not have any of our "Magic Potion" Kwik Dry's All-Natural Citrus Cleaner with me at the time. 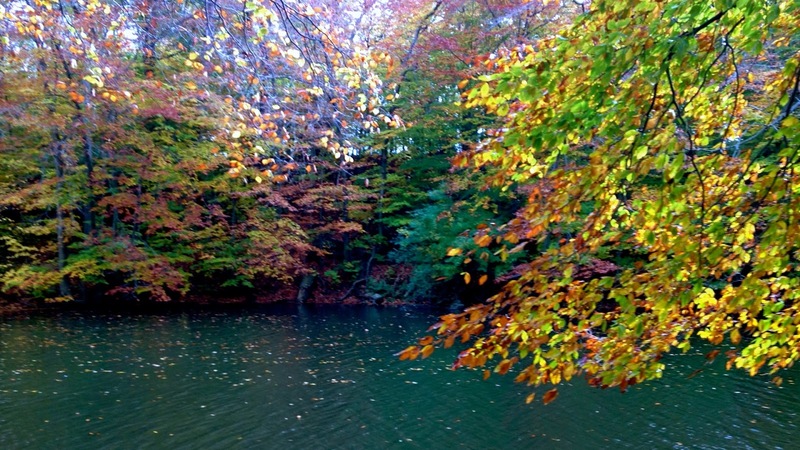 Our company truly tries to help our earth to be cleaner and healthier. We have researched high and low searching for the right formula that will clean and kill bad bacteria without killing humans and animals in the process. Our products are citrus based made from oranges, grapefruits and lemon peels, ergo the lovely fresh scent left behind after a Kwik Dry cleaning. Now these ugly monsters also need to be eradicated, just like the mold and mildew. 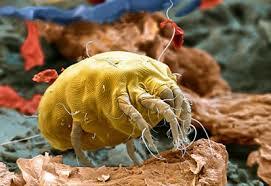 There are dust mites and dust mite remains, feces, body parts etc, in the dust in the air, in our carpets, in our mattresses and even on our eyelashes, that must be gotten rid of or we face getting asthma, upper respiratory infections, allergies and even brain dysfunctions. Mattresses are perfect food for mold and mildew to feed on. Room temperature is perfect for mold and mildew to grow. All it needs now is moisture. 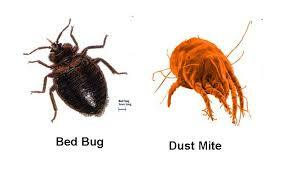 That is why steam cleaners cannot clean a mattress without starting the mold growing process. Kwik Dry Total Cleaning's process for cleaning mattresses, carpets, area rugs and upholstery uses very little water, therefore is perfect for cleaning your mattress. Bed bugs were nearly destroyed completely by DDT's (chlorinated aromatic hydrocarbons that do not break down but persist in the environment and become concentrated in animals) in the 1950's - 70's, but with the outlawing of DDT's they have regained their strength and are becoming an epidemic. Heat is now the only way to kill the eggs and this process is very expensive. The adults and nymphs can be killed with steam or insecticides, but the eggs are not harmed. The only way of heading off bed bugs is by a thorough vacuuming and professionally cleaning of your mattress on a regular basis. Pollen grains are also floating around in our air, landing on our carpets, bedding, upholstery etc., causing homeowners and residents to inhale and of course - Achoo! - sneeze. 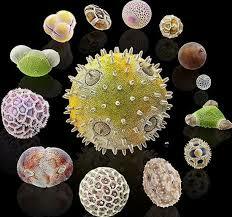 When you look at a pollen grain up close and personal, you can see why it would irritate our mucus membranes and cause itchiness. Pollen season is crazy at our house - all those itchy, watery eyes, runny noses and using tissues by the pound. How do we get rid of it? Call Kwik Dry Total Cleaning. 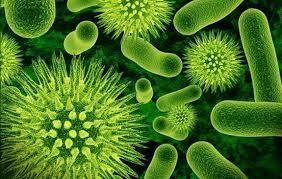 Bacteria is found under the same circumstances as mold and mildew - dirt/food, moisture, and optimum temperatures. They also like darkness. Your air duct system is perfect for bacteria to grow in, as well as in your carpet, upholstery, and mattresses. Some Kwik Dry Total Cleaning Franchises do not offer air duct cleaning services, but the ones that do use the Rotovac System for cleaning which is a source removal system that uses hospital grade disinfectant to kill any bacteria that may be in your H.V.A.C system. So, what does this "Green" word mean? Be very careful of the "Green" word. Like "natural" "green" is a very vague term. In the cleaning industry it basically means that the products used can break down and nothing is left in the environment -"dust to dust", but it does not mean that one can ingest or inhale the product without adverse effects. Kwik Dry's All-Natural Citrus Cleaner should not be drank. Some crazy companies state that their cleaning products can be drank without harm, but they do not tell you that after ingesting the cleaning solution you will be hit with a bout of diarrhea, because your body is rejecting it. One may not die from it, but it is not healthy to consume. Kwik Dry Total Cleaning has worked diligently to find cleaning solutions that are biodegradable, but actually remove stains. Cleaning companies that use bleach or acid should not be saying that they are a "Green" company. So how does one know if the company that he/she employs to do your carpet cleaning, upholstery cleaning, mattress cleaning,tile and grout cleaning, wood floor cleaning, or air duct cleaning is using truly "all-natural" or "green" products. Ask them and weigh their response on the scales of reason. How clean is clean and how green is green?